UBC’s Master of Engineering in Naval Architecture & Marine Engineering program has received the 2015/16 Peter Larkin Award. The award is granted by the VP Students Office to a graduate program or department that has contributed to student development, in honour of Peter Larkin’s commitment and passion for teaching and graduate education. 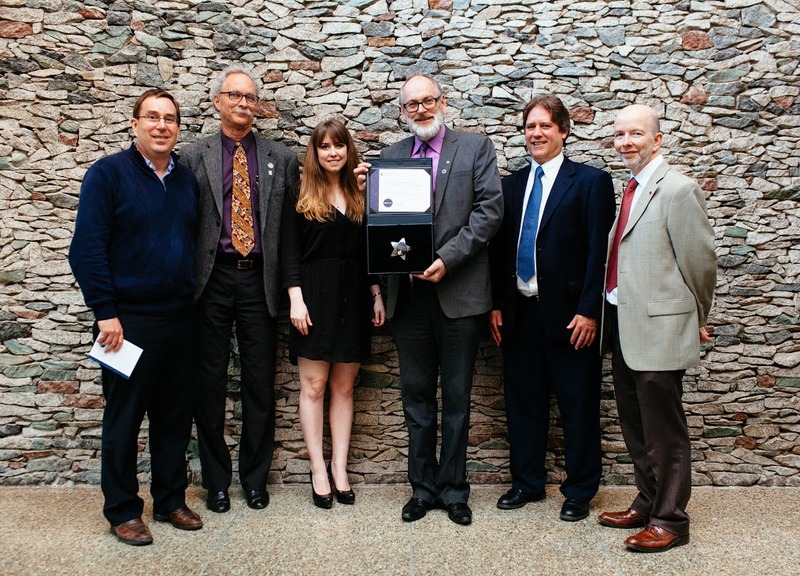 The program was nominated by Dean Marc Parlange and adjudicated by a committee of faculty, staff, and students. The committee stated that they “shared Dean Parlange’s conviction that the program excels in fostering a sense of community among the cohorts as well as providing an introduction to wider industry networks.” The award was presented at a reception on March 31st. Please join us in congratulating Professors Jon Mikkelsen and Chris McKesson, Program Co-Directors, and Dr. Sheldon Green, Department Head, on this wonderful achievement.